Julius Hey was a reformer in German vocal art. He became the author of a big original vocal pedagogical work, which was written in the style of Vagner school. The book “German singing lessons” presents, in a clear description, Vagner’s views on teaching German singers. J. Hey explains the vocal system consistently, beginning from the elements of natural creation of a tone to a complete artistic performance, taking his rich experience of teaching vocal into account. The book is intended for singers, vocal teachers, art students and those who work at their voice. 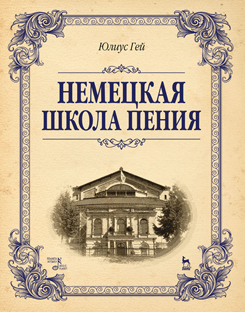 The book is translated into Russian for the first time.